Rasar State Park is a 169-acre camping park with 4,000 feet of freshwater Shoreline on the Skagit River. Wildlife observation opportunities, especially for eagle watching, are excellent, particularly in early fall and early winter.The park has 18 standard sites, 20 utility sites with electricity and water.The park offers playground equipment for kids. 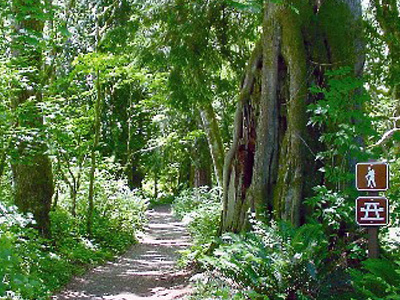 There are second-growth trees and ample opportunities for nature study.The park has 4,000 feet of low-bank riverfront along the Skagit River.Available activities include wildlife viewing, and interpretive activities. Here's the our members favorite photos of "State Parks in Washington". Upload your photo of Rasar State Park!